The Tibet Museum of the Department of Information and International Relations, Central Tibetan Administration is seeking energetic, motivated and a responsible applicant for the post of “Production and Research Assistant” on an initial one year contractual basis for new Tibet Museum project. Minimum Bachelor’s degree preferably in Humanities. Good command over written Tibetan and English language. Prior working experience in a related project will be given special consideration. Willing to do extensive travel within India whenever required. 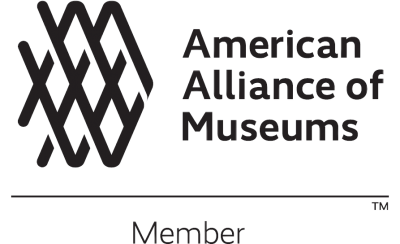 Assist museum director in overall project planning, research, production and installation. Responsible for the research, collection, keeping and cataloging of objects, artifacts, video sourcing, photo research and credit sourcing and other necessary online and offline in both primary and secondary research. Write, edit and produce instructional materials to accompany art and artifacts. Deal with the acquisition, care and display of objects and items received through donations and loan. Liaise with supplier and shippers in relation to the exhibition production and artifacts. Create and monitor production and installation schedules for exhibitions. Assist with installation, including the packing, loading, hanging and framing of exhibits. Liaise with both internal and external staff and departments, including technical staff, artists, curators, exhibition and graphic designer, contractors, conservators, cultural institutions and CTA’s departments. Attested copy of duly paid Green Book and Registration Certificates (RC). Attested copy of birth certificate or class 10th pass certificate. Original medical certificate with photograph from registered physician. Character certificate from the Representative of the applicant’s respective settlement office. All the documents must be attested by a CTA gazette officer (holding the post of Joint Secretary and above) or concerned Settlement Officer. Salary and Benefits: Salary and benefit equivalent to Office Assistant designation of the regular CTA staff. Age Limit: Should not be below the age of 25 or above the age of 40 as on January 28, 2019. Selection examination: 10 AM, Wednesday, January 30, 2019. Interested applicants must submit an application letter with above-mentioned documents to tibetmuseum@tibet.net or to following address, on or before the application deadline. Selection will be done on the basis of interview and written examination in Tibetan and English languages. The selected candidate will enter agreement with the Tibet Museum, DIIR. Applicants must bring the original documents mentioned above at the time of interview.